Much like how every fan of Doctor Who has “their” Doctor, so does every fan of fantasy tabletop RPGs have “their” version of D&D. One of the things that releasing the game’s rules into the wild with D&D Third Edition’s Open Gaming License was that it opened the gates for everyone to create their version of D&D, or in some cases recreate their favorite version of D&D. A number of years ago, Troll Lord Games started work on their version of D&D, the game called Castles & Crusades. What is Castles & Crusades? The short answer is that it is a cleaned up version of early Advanced Dungeons & Dragons or later Dungeons & Dragons with some more “modern” mechanics thrown into the mix as well. Really, if you have ever played an edition of D&D (or AD&D) you will probably understand the basics of Castles & Crusades and be able to play the game. Built off of the Dungeons & Dragons Third Edition System Reference Document and the Open Gaming License, Castles & Crusades builds itself on the foundations of those editions before it. The game take the standard three book approach: the Player’s Handbook contains everything that players need to create and maintain their characters along with the basic rules for play, Monsters & Treasure is pretty self-explanatory as the monster (and treasure) book, and the Castle Keeper’s Guide not only expands upon the basic rules in the Player’s Handbook but it also tells you how to alter and break the rules to customize the game to your own group’s style of play. Of the three, the Player’s Handbook and Monsters & Treasure are probably the most important, while the Castle Keeper’s Guide can be used or not. One of the things that I like best about Castles & Crusades is what they call the SIEGE Engine. Basically a simplification of the task resolution rules from D&D 3e, the SIEGE Engine is used to give a unified method of resolution to all of those different forms of skills, class abilities and other special abilities. No more rolling percentile dice for one check, a d20 for another and a d6 for a third. Now everything is brought in line with a d20-based task resolution system inspired by the D&D third edition systems for resolution. The SIEGE Engine also reduces the whiff factor from many of the early editions and old school games out there. That’s a good thing because nothing makes a game feel less heroic than repeatedly missing. This doesn’t mean that the game makes your characters into super-heroes, no the gritty feel of the early editions of D&D/AD&D are still there, it just means that your character has a better chance at success than a comparable AD&D character would have. In the Player’s Handbook you get almost everything that you would need for play. 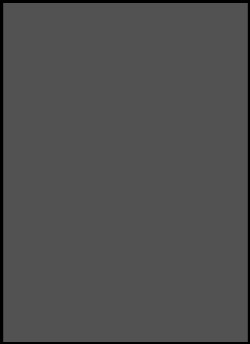 In addition to the basic rules of play, and an explanation of the workings of the SIEGE Engine, you get thirteen player character classes, seven character races, equipment and weapons, a complete listing of all of the spells for all of the spellcasting classes, and a well explained section on how combat and various character interactions works. 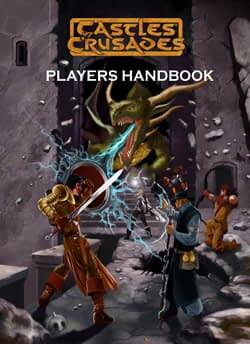 Currently on its 5th printing (although currently the people at Troll Lord Games are running a Kickstarter to fund new printings of all the core Castles & Crusades books), the Player’s Handbook’s writing is driven by the play of its designers, Davis Chenault and Mac Golden. 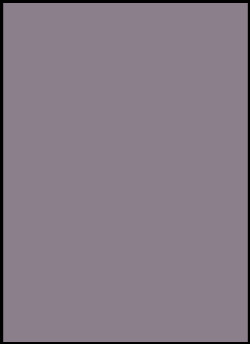 This means that the rules have been written from the standpoint of a solid ongoing play experience, and are good at explaining how to achieve that experience. The book can get preachy in places, particularly in explaining the approach of the designers and their philosophy of play. Much like many of the weapons outlined in the book, this approached is double edged. I like knowing where a designer is coming from, because how a designer thinks can show how they think that a game should be run and played. However, if you don’t agree with that mindset it can mean that you won’t get the intended play experience out of a game. This clash isn’t the fault of the game, or the people playing it differently, but it can lead to a suboptimal experience out of the play. Being that the designers wants to emulate an older edition of D&D, however, that does mean that the talk about the designers perspectives can easily be divorced from the game itself without as much of an impact on play as, say, with an indie game focused on a particular method of play. I am a fan of simple games, and Castles & Crusades falls probably in the middle range of old school clones of D&D. It is definitely more complex (although not by a great deal) than Swords & Wizardry, but it is definitely much less complicated than OSRIC. While it will probably not replace my go-to fantasy game (the aforementioned Swords & Wizardry) that doesn’t take away from the quality of Castles & Crusades. The Castles & Crusades game delivers a solid play experience with a minimal of investment and effort. Players do not have to remember a lot of rules and exceptions for their characters, and with the mechanical streamlining of resolution from the SIEGE Engine, play of the game itself is simple. This means that, for those interesting in this style of play, the rules “get out of the way” quickly and allow the players to enjoy a more immersive play experience where role-play and improvisation are not hampered by having to constantly stop and check rules to see how things work. Not everyone wants to play in this way, but for those who do Castles & Crusades brings this to the front. You can learn a lot about a roleplaying game from the monster book(s) made for it. 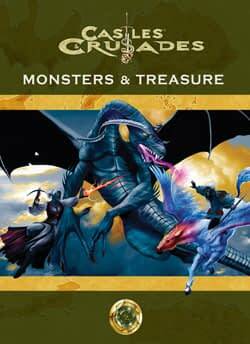 With Monsters & Treasure, you learn a lot about the worlds of the Castles & Crusades game. One of the biggest differences between games of the “old school” and the “new school” is the fact that old school games prefer an implied setting instead of long sections of a book being used to explain and describe the world of the games. What does an “implied setting” mean, exactly? It means that you find about bits and pieces of the lore of the game’s setting from things like the descriptions of monsters or the types of magical items that are available, rather than having the setting described and spelled out for you. A world with powerful and infernal demons, for example, is much different than one where the majority of the creatures are reptilian, or descended from dragons. You learn these things by reading the creature descriptions rather than a setting section. The benefit to an approach like this is that it makes it easier for GMs (or Castle Keepers as they are called in Castles & Crusades) to integrate their own worlds into the game without having to worry about whether or not the stories told by the group will come into conflict with the stories of the setting of the game. Personally, I prefer implied approach, so this gives a plus to Castles & Crusades. The creatures in Monsters & Treasure run the gamut from exotic creatures like the Sahuagin (an aquatic race) or the Assassin Vine, to more standard fantasy creatures like trolls, ogres and dragons. There are more than enough creatures in this volume to keep any game occupied for years. The remaining volume in this trio is The Castle Keeper’s Guide. This book is just for the game master and contains the usual advice on running games. Where this book excels is in the sections that break down the various rules for the game and show how they work, and how they can be expanded or changed in order to make the game different. This is really demonstrated in the section on the SIEGE Engine itself. The designers lift up the hood and root around in the engine itself, showing the game master how all of the moving parts work together and how you can use the SIEGE Engine effectively in your games. It is a simple little innovation that sets Castles & Crusades apart from other old school games. While a lot of old school games may not have rules for having your character leap across a room, leap to and swing from a chandelier, and then jump onto the bad guy on the other side of the room. Castles & Crusades tells you how you can have your characters do that, with the SIEGE Engine, in a simple enough of a manner. The Castle Keeper’s Guide also show how you can expand your game worlds beyond the traditional fantasy worlds. There are rules and equipment lists for bringing science fiction elements into your fantasy games (popular ever since the ancient Barrier Peaks module), as well as more modern equipment and weapons. There are also guidelines for higher levels of play with your characters and ways to expand the character classes in new directions. The art through all three of these books is also phenomenal. The quality is excellent, and the art itself avoids a lot of the pitfalls of gaming art. The art itself is inclusive and keeps the cheesecake to a minimum. The art is dynamic, showing people doing things that your characters might do, rather than static posing or standing around. The one thing that can make a game book’s art bad is having the figures in the art not doing anything. For many, a game’s art is what is the gateway into demonstrating what characters can do in a game. No one wants to play the game of standing around and looking at each other. If you are looking for a solidly designed fantasy game you can’t go wrong with Castles & Crusades. These three books give you a solid foundation for play, and Troll Lord Games offers a great deal of support for the game in adventures and supplements.